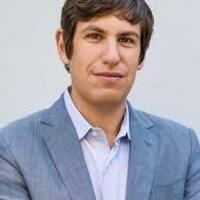 Ari Berman is an author and journalist on American politics, civil rights, and the intersection of money and politics. Ari is an Iowa native and senior reporter at Mother Jones, a non-profit, reader-supported investigative news organization. Mother Jones is America's longest-established investigative news organization, reaching over 10 million readers and honored as Magazine of the Year. Ari has written for The New York Times, Rolling Stone, and The Guardian and made frequent appearances on MSNBC & NPR. Ari is a former senior contributing writer for The Nation magazine and a Fellow at The Nation Institute. His latest book is titled Give Us the Ballot: The Modern Struggle for Voting Rights in America.